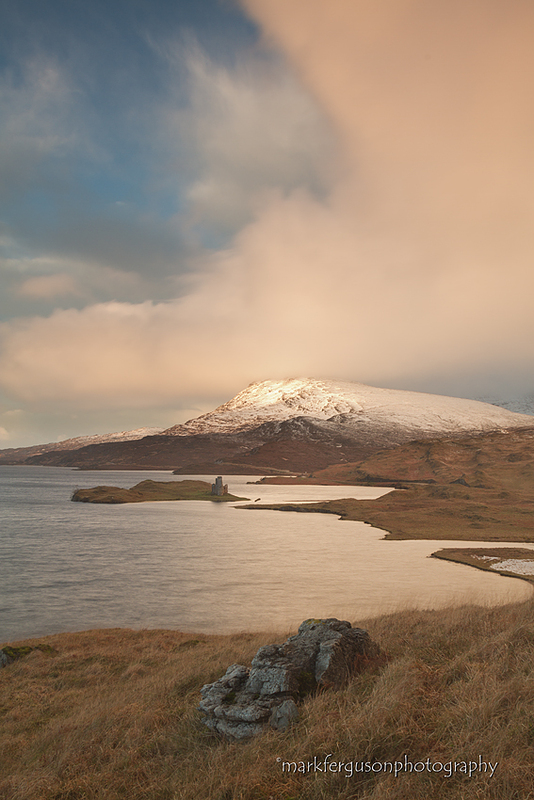 This ruined castle lies along the shore of Loch Assynt near Lochinver. Quinag mountain can be seen in the distance. Purchase mounted and framed prints online Under development. Please contact me for prints.